Do you remember what you did yesterday at work? What short-term goals have you finished along your path to reaching your long-term goal? If you have trouble remembering the small things you do (maybe because there are so many! ), this productivity hack is going to rock your world! First, forgive yourself. Then, try the free productivity hack below. Don't forget this: Productive people have morning routines. Here's the hack: You will have an email sent to you each morning with a link to your Ta-da list & Gratitude Journal. This will be in the form of an electronic journal (aka Google Form) that you will take a few minutes to fill out each morning. Every 7 days, you will be able to look back and trace your journey and progress. What's a Ta-da List? It's similar to a to-do list, but on it you list everything you've accomplished the day before, not what you have yet to accomplish. Sometimes we forget to celebrate our small victories and accomplishments along the way to reaching a goal... a "ta-da list" is a perfect reminder to keep us accountable to ourselves as well as a list of accomplishments. A cool thing about this hack is that you choose the TIME it is sent to you... so if you want to do it as the first thing when you get to work, you can set it for your arrival time. If you get up before everyone else in your household and spend "me time" each morning, perhaps you will set it for that time. You choose the time that works best for you. 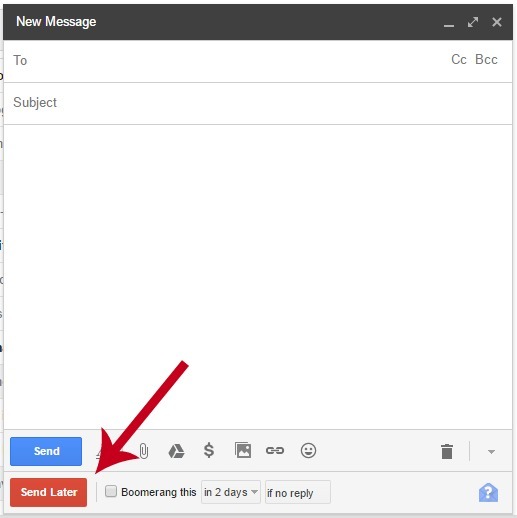 1) Sign up for the free Boomerang extension for your gmail account. 2) Create your "Ta-da List & Gratitude Journal" as a Google form. If you've been following me on twitter or my blog, you know how much I love Canva, so it's no surprise that I had to customize my List/Journal by using Canva! I chose custom dimensions of 800px X 200px and created a header for my Google form. There's only 2 questions to include on your Google form, and both should have "Paragraph" as the answer option. The first question is "Ta-da List" and the second question is "I'm grateful for..."
1) Open your gmail account, and click on Compose. When the window opens up for a new email, type in the email address of the account you check each morning. 2) On the subject line, type "Ta-da List & Gratitude Journal." 3) Then click on the Google Drive icon. 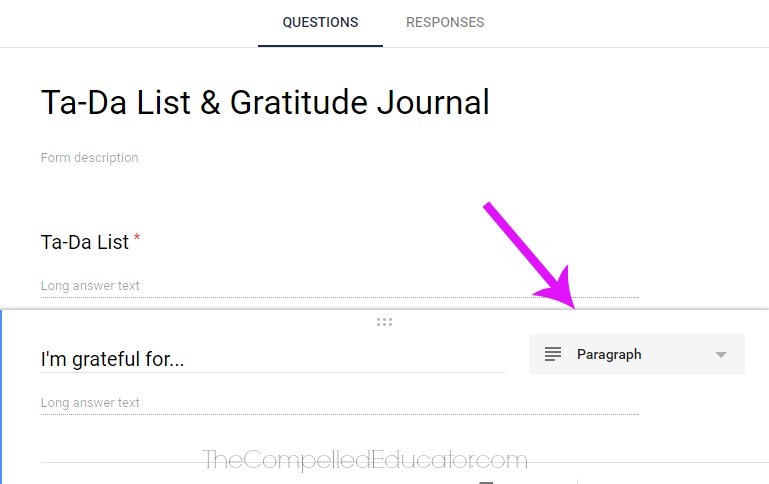 Insert your Google form (Ta-da List and Gratitude Journal) you just created. It will embed your Google form into your email. 4) Now, click on the red "Send Later" button at the bottom of the email window. It will take you to a scheduling window where you will choose your optimimum time for a "daily" email. 5) When you get your email each morning, take a few minutes to type in your "ta-da" list (what you DID the day before) as well the things you are grateful for. 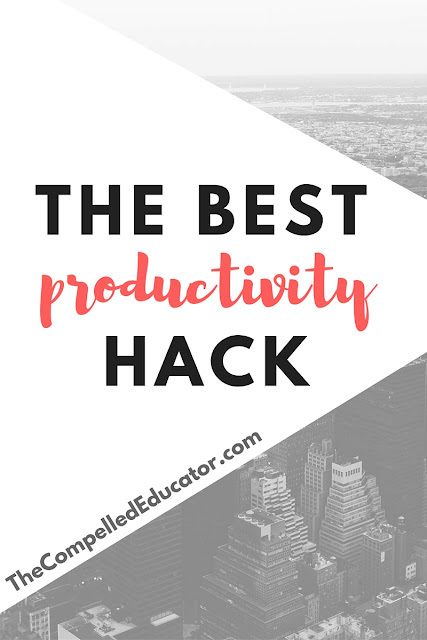 Make this part of your morning routine, and after 7 days check your responses in your spreadsheet and celebrate your accomplishments! 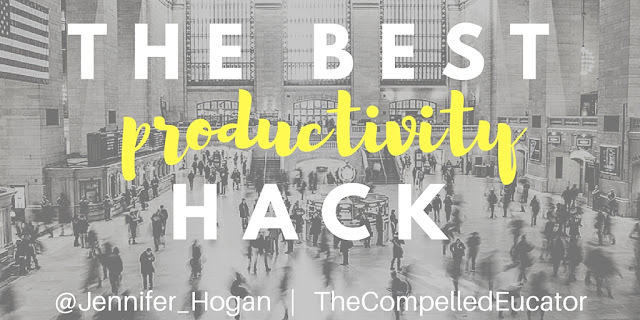 Then send me a shout out on twitter or via email to let me know how this hack has changed your productivity. I love feedback, especially when I know I've helped someone reach his/her goals! Pin this for future reference and for others who can benefit from this hack!